The issue of One Rank One Pension (OROP) has been resolved and the Government also announced substantial hike in the Military Service Pay (MSP) of all service personnel and special allowances given to Naval and Air Force personnel deployed in high risk duties. 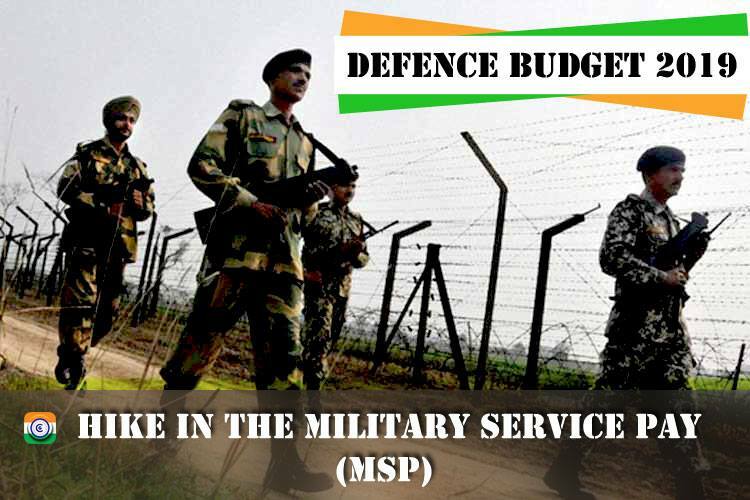 On the issue of strengthening Defence and National Security, the Interim Budget 2019-20 states that our soldiers protect our borders in tough conditions and they are our pride and honour. The Finance Minister Sh. Goyal said that due care has been taken of their honour. He said that the issue of One Rank One Pension (OROP) which was pending for the last forty years has been resolved. This is to bring in the notice of all that I had put up a complaint regarding mismanagement in CSD Canteen Air Force Station Hindon Since Last Two & Half Years because in the first week of the month 98% daily uses items becomes out of stock / finish. Matter written to CP Gram vide complaint no. DDESW/E/2019//00044 on dated. 06.01.2019 then on dtd. 06th Feb 2019 got a call from Group Captain Pushpendra Singh , who told me that ” He will prove me wrong” so on the same day in afternoon I visited CSD Canteen Air Force Station Hindon & whatsapp the list of about 42 items was not there in the CSD canteen due to which a community of Ex -Servicemen are getting harassed by wasting their time & money. Since Last Two & half years MWO Angrej & Sgt Nidhin are raising indent as per their convenient & benefit maximum unbranded items in result dead stock with help of company representatives. Same thing put in the knowledge of AOC Hindon but no out put till date. MWO Angrej & Sgt Nidhin are from the strength of Air Force Station Hindon & drawing salary from Air Force only that means Air Force Station Hindon is having extra men power so utilizing in CSD canteen. Kindly confirm the email id of President of India, Prime Minister, Chief of the Army Staff, Chief of the Air Staff so that they may be aware regarding this mismanagement .